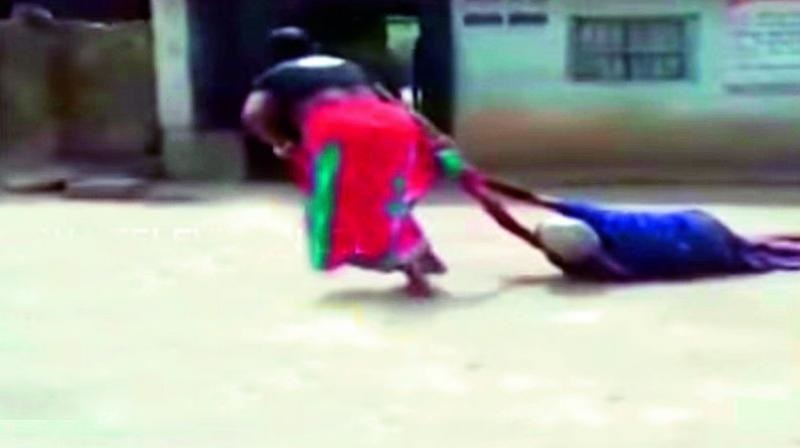 In another incident of inhuman torture of senior citizens, a 75-year-old woman was dragged by her daughter-in-law on the road and assaulted in Odisha's Bargarh district of India on Thursday. The accused has been arrested. The incident came to the fore on Friday after video of the incident went viral on social media. The incident has sparked a public outcry with social activist demanding strict against the accused woman. According to reports, the woman dragged her mother-in-law on the road and thrashed her mercilessly over land dispute at around 8 am yesterday. The police came to know about the crime from the video clipping of the incident on social media. A team of Gaisilat police went to the village and arrested the woman. The incident has sparked and outrage and this is the newest act of assault of senior citizens in the country.